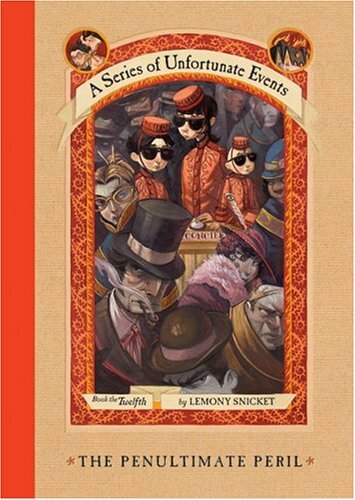 [share_ebook] A Series of Unfortunate Events 12: The Penultimate Peril (in LIT format) by Lemony Snicket or Daniel Handler | Free eBooks Download - EBOOKEE! Posted on 2008-04-15, updated at 2008-09-23, by pwn3d. After any harrowing struggle, it is nice to consider checking into a hotel for a rest. In fact, this might be just the break Violet, Klaus, and Sunny Baudelaire could use after their wearying deep-sea adventure. A hotel can be a good choice for any family vacation. With so many floors, such a variety of rooms, and a curious array of guests, spending time in the safety of the right hotel can be the perfect learning environment for children of any age. A keen researcher like Klaus, an adept inventor like Violet, and a sharp-toothed culinary master like Sunny are all sure to find engaging diversions during their stay. Regardless of how they pass their time while at a hotel, the three siblings will be sure to take in all the interesting sights and sounds -- and write them down -- just in case this episode turns out to be the darkest yet in a series of unfortunate events. No comments for "[share_ebook] A Series of Unfortunate Events 12: The Penultimate Peril (in LIT format)".